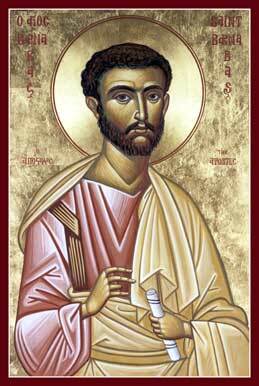 St Barnabas - a good man, ‘full of the Holy Spirit and of faith’ (Acts 11.24) - was a companion of St Paul during his missionary journeys and, like him, is styled ‘apostle’ although not one of the twelve disciples. A Cypriot Jew, St Barnabas introduced the newly converted St Paul to the church in Jerusalem and then called him to Antioch to assist in leading the growing Christian community there. The church of Antioch later sent both St Barnabas and St Paul on a missionary journey which began in Cyprus, where St Barnabas remained. St Barnabas is said to have been martyred at Salamis and was buried with his own copy of St Matthew’s Gospel, with which he is often depicted in Christian art. Bountiful God, giver of all gifts, who poured your Spirit upon your servant St Barnabas and gave him grace to encourage others: help us, by his example, to be generous in our judgments and unselfish in our service; through Jesus Christ our Lord.